I'm Matt Lee, an artist/writer/director living around Boston, Massachusetts. I moved here in 2008 from the UK. Read more about me at Wikipedia. 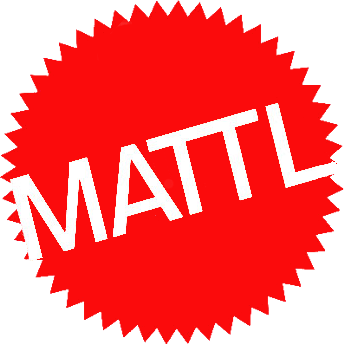 Send me an email → mattl@cnuk.org ← and consider sending me encrypted email using my GnuPG key. Get one of yourself at Keybase. Ask me if you need an invite. I am starting to write in my blog again. My first movie and my first non-tech book, Orang-U: An Ape Goes To College came out on July 8th 2017. Available on YouTube, Vimeo and other places. And for free. In 2017, I was interviewed about the technology and tools I use to do my work. In 2014, I toured the UK with my one-man-show, Matt Lee Talks About Stuff, where I wound up being interviewed by Computerphile. Maybe that's where you know my face. In 2009, I started Libre.fm, a music community site with a few hundred thousand users. This led to the creation of the GNU FM project to create the software to power the site, which also led to the creation of the GNU social project, which later merged with the StatusNet and FreeSocial projects. I've been working on GNU since 2003 (I left for a bit in 2017 and rejoined in 2018). In 2009 I was interviewed about free software by Rolling Stone magazine but due to Michael Jackson dying I wound up with the photographs but no infamy. I made a film about Free Software in 2007 to promote the 25th anniversary of the GNU project. Happy Birthday to GNU starring Stephen Fry is available on YouTube, and on the GNU website. Prior to any of this, I was young and stupid and insincere and made a lot of poor choices about work and ownership and copyright. I previously worked with the Google Chrome team and at GitLab, Creative Commons and the Free Software Foundation. In 2018 I spent about seven months traveling the world talking to and about free and open source software and helping projects get donations. In total approximately $9 million was donated. I've been working with free software professionally since 2001 and I've been using free software since the 90s. All of my work is available under free licenses. Sporadically since the late 90s I've made music with Mark Cousens (and later Vikki Crowe) as furny. We have one EP you can buy in various places, including iTunes, Amazon, Bandcamp or as a ZIP file which comes with some snazzy artwork by Rob Myers. My first feature film, Orang-U: An Ape Goes To College came out in July 2017 (watch it here). Other TV/movie work can be found on my IMDb profile. A film, a book, an album — On my Gumroad store.